If your normal Tuesday plans include digging up something on Netflix's Instant Streaming -- these five suggestions for romantic flicks will make your Valentine's Day super easy. Julia Roberts pretty much plays Julia Roberts in this romantic comedy about Julia Roberts meeting bookstore owner Hugh Grant (who plays his bumbling Hugh Grant character -- see a theme?) in a chance encounter and both fall in love. With complications, of course. It's an interesting look into celebrity, romance, and love while all the while being funny -- especially when Rhys Ifans enters the scene as the hilarious flatmate, Spike. Talk about your odd couples -- teenaged Harold cares more about death than dating, while elderly Maude is feisty and passionate while staring down the end of her life. It's a funny film that may surprise you with it's age-split relationship, but will please fans of dark comedies and quirky romances. 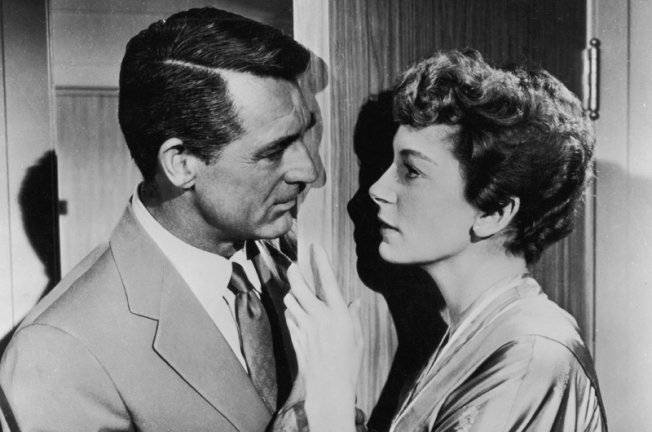 A classic romance featuring Deborah Kerr (swoon) and Cary Grant (double swoon), who meet on a cruise ship and fall in love -- even though they're each engaged to someone else. This is the film that started some of romance's cliche plot points (finding true love while otherwise engaged, planning to meet at an iconic landmark in they're still in love after a time, tragic accidents, and miscommunication, etc.) so get ready to suspend a little disbelief. Once you do, you're in for a treat. If "Smash" has renewed your interest in Marilyn Monroe's movie career, here's one to add to your queue. Monroe joins Betty Grable and Lauren Bacall in a wide-screen comedy about three models trying to snag a millionaire with a outrageous gold digging scheme. It's not the most modern of movie premises, but if you're looking for a classically witty romantic comedy that's more light than lovey-dovey, it's a good pick. Taking the saying "the heart wants what the heart wants" literally, this romance has an odd premise that surprisingly works out. We don't want to spoil the plot too much, so let's just say that it's the most romantic and quirky films about organ donation we've ever seen. Come for the love story, stay for the awesome supporting cast, including Carroll O'Connor, Jim Belushi, and writer-director Bonnie Hunt. Got your own instant pick for Valentine's Day movie fun? Share them in the comments below.